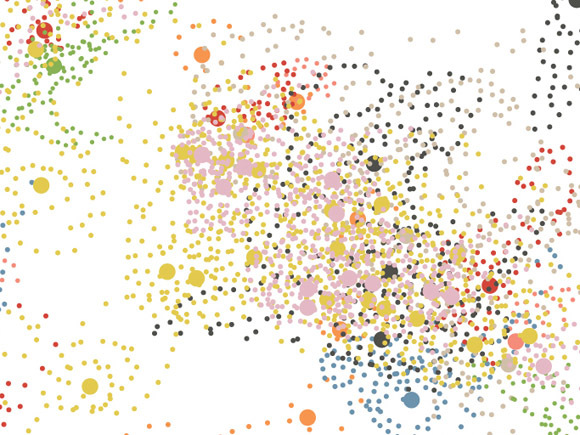 Adds yet another medium to really learn about the geographical environment. 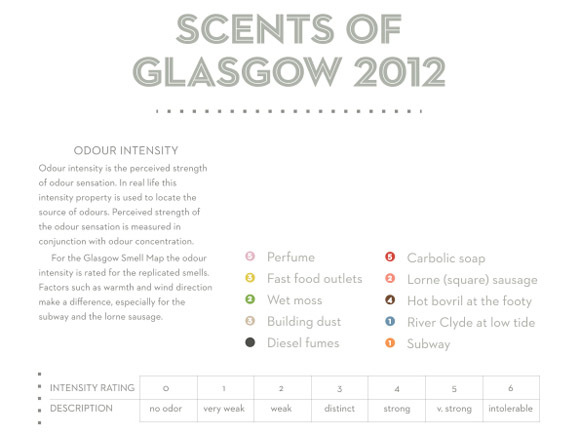 Publisher’s Description: Scents of Glasgow 2012 is an installation artwork that combines a visual map of the perceived smells encountered in Glasgow during the winter months of 2012 with a collection of 9 individual bespoke scents created from natural ingredients. 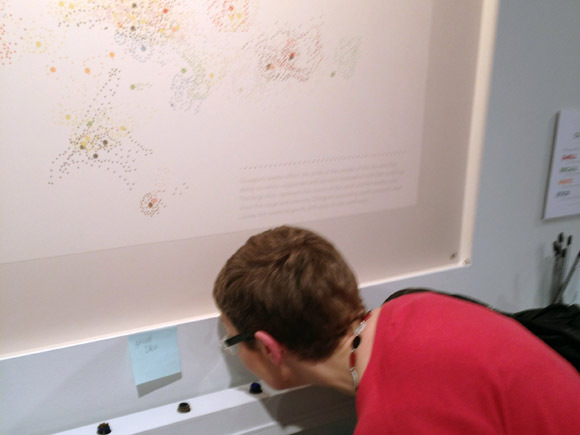 Using a phenomenological framework this Smell Map informs us of the history, culture, urban planning and climate of the city. Glasgow’s scents reflect the pride of its citizens; their ability to renew, regenerate and reinvent themselves and their buildings. Carbolic soap alludes to the shared "stair" cleaning in the tenement buildings, green moss to the damp winter climate. Hot Bovril (a drink) at the footy is a ritual, as is Lorne (square) sausage sizzling at the markets, cafés and food outlets on building sites. 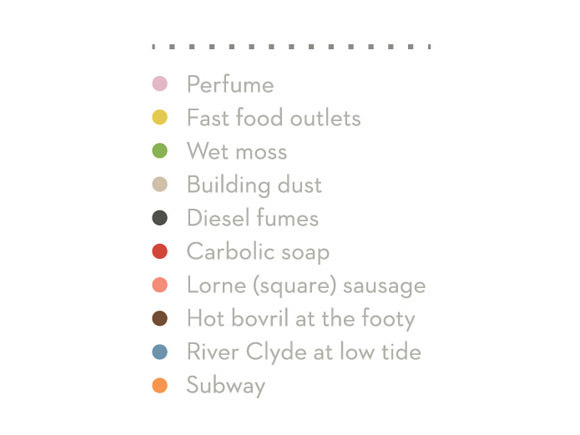 The scent of Glasgow’s Subway system is iconic – an arcing, metallic, damp sponge – and astonishingly difficult to represent as a scent. You may need to visit for yourself. 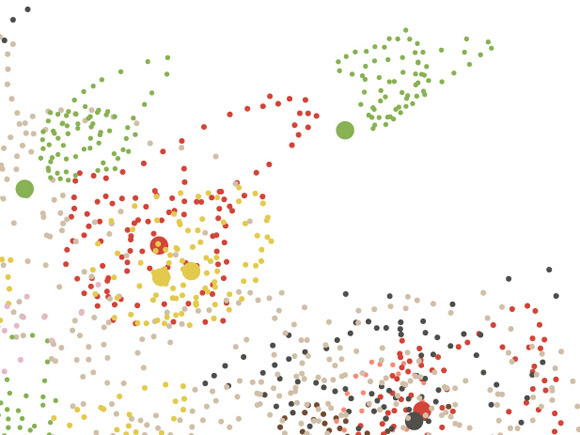 The large dots represent the source of the smell and the smaller dots show their range and intensity. As smells disperse in the dreigh, they hang perceptibly in the air, the cooler temperature affecting the distance travelled, until Glasgow’s prevailing south-westerly wind assists the movement of smells as they mingle and drift across the city. For this, and other smell maps by Kate McLean see www.sensorymaps.com.